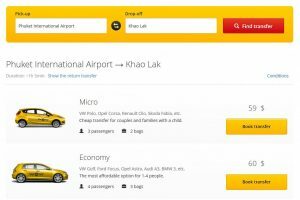 Chilltransfers.com is operated by Chill Transfers Co., Ltd .
Chilltransfers.com offer transfers service like private-car, exclusive car and minibus(van) from Khao Lak to anywhere such as Phuket International Airport, Suratthani, Krabi etc. We aim to quote a very reasonable price to satisfy all special clients and delightful service is always provided every single time of transfer service. For online booking process it’s very easy which you can do by yourself.